What a difference eight years can make. Last summer, when Hospitals & Health Networks unveiled its Most Wired list, it was a proud moment for the staff at University of Utah Health Care. Not only had the organization earned the designation for the third consecutive year, but it was also one of six health systems to be named Most Wired Advanced. For Jim Turnbull and his staff, it was the culmination of a dramatic transformation that began in 2008 when he took the reigns as CIO. From the moment Turnbull arrived, the need for less fragmentation and more involvement from leadership was evident. But make no mistake — Turnbull didn’t walk into an IT shop that was in need of an overhaul. Rather, it was a unit that had great potential but was suffering from a lack of direction. With that in mind, one of his first moves was to develop a five-year plan that established clear goals, making sure to incorporate input from multiple stakeholders. 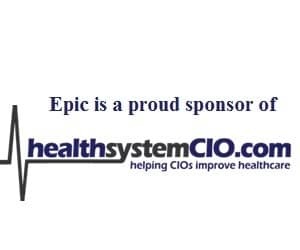 Eight years later, the organization is in a far better position, having achieved HIMSS Stage 6 recognition and successfully implementing Epic across the board. But it certainly hasn’t always been an easy road. “We had a lot of really talented people. It was just a matter of getting the commitment and discipline to get things done,” said Turnbull. And so, in addition to introducing a strategic roadmap, he encouraged all leaders to go through ITIL Foundation courses — in fact, he was one of the first — and established clinical and financial governance groups to help drive standardization and improve processes. “He’s done a fantastic job bringing a solid vision to what we’re doing with IT,” said Phillip Kimball, Associate Director of IT Services. As a result, the department was able to improve its perception and facilitate a deeper level of engagement with clinicians. “By having governance groups, we were able to get the community as an academic medical center to weigh in and help prioritize projects,” he noted. With better processes in place, IT leaders were able to focus on areas that needed improvement, namely disaster recovery. And in fact, it was the poor scores in this category that caused the organization to miss the mark in achieving Most Wired status for a few years. When asked how quickly they could restore clinical information systems if an event shut down the primary data center, the honest answer was “8 days to a month,” something Turnbull’s team knew was unacceptable. But instead of tossing around blame, they took action, launching a three-year project designed to slash response time by setting up a hot site inside of the hospital, along with an alternate data center located four hours away. Another step in IT’s transformation included consolidating the seven largest data centers on campus into one, and building a more robust network that can accommodate the needs of the hospitals and clinics, as well as the University of Utah Health Sciences. This, says Kimball, represents a significant shift from several years ago, when the two campuses acted independently from an IT standpoint, which created a very “fragmented” environment. Now, Utah is looking to house all of IT in a single building to help increase efficiency and streamline communications. The end goal is simple: By having more efficient processes in place, IT can support the organization’s primary objectives of improving patient experience, care quality, and financial strength. Patient experience will be tackled by offering extended access to physicians, leveraging tools to reduce wait times, and publishing patient satisfaction scores on the website, according to Turnbull. On the quality and financial sides, the Epic system is being used to drive down costs, create more standardization, and develop affiliations with other networks. Now, Utah has both a roadmap and direction, and there’s no telling where the organization will go next.